Urban Sync is a town planning and land development consultancy firm. But what does that actually mean? It means we know how to peel back the layers of confusion. In 1898, at the first international town planning conference in New York, a British planner asked “Are we striving for beautiful people or beautiful cities?” Is urban planning about physical design, he wondered, or about making things easier for the people who live on our towns and cities? The simple answer is both. Which can make town planning a very tricky affair. Back then, in the wake of the British Industrial Revolution, town planning was driven by architects and public health officials, grappling with rapid urban growth, waste management and contagious diseases. In modern Australia, town planning is a legal maze, governed by complex federal policies, individual State legislation and local Council planning schemes. That’s why you need a passionate and experienced town planning consultancy like Urban Sync on your team. You need people who understand how to peel back the layers of confusion, talk you through the jargon and guide you through the planning and approval process to achieve the outcome you want for your project. Town planning is steeped in rules and regulations. Our technical expertise and plain English advice can save you thousands of dollars and wasted man hours… and so can our relationships. We have been working with builders, developers, local authorities and technical consultants in Cairns and the Far North for over 15 years. We know the senior planning staff at the regional Councils. We can pre-empt the hurdles you will face and the questions you will be asked. We know how to advocate and lobby on your behalf. We know the what and the who. Which is why you need us on your side. We identify ourselves with a strong code of conduct that includes respect, honesty, politeness, responsibility and excellence. Our priority is to keep you informed throughout your matter. We strive to create, innovate and excel in our field through teamwork, learning and diversity. We are proud to stand behind the quality of work we produce and the outcomes we achieve for our clients. Our service is provided with a can do, proactive approach that delivers outstanding results for you. Urban Sync is owned and operated by Stuart Ricketts, a Senior Town Planner who has a demonstrated track record with both large and small-scale development projects in the greater Cairns region. 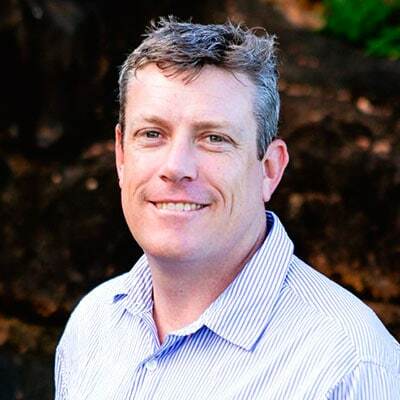 Stuart has a Bachelor of Environmental Planning (Griffith University) and is a Certified Practising Planner (Planning Institute of Australia), with over 15 years’ town planning and development approvals management experience across the Far North. Over the years, Stuart has also built strong relationships with statutory authorities and leading development consultants including engineers, architects, surveyors, quantity surveyors, builders and building certifiers. His knowledge and expertise cover a broad spectrum of land development from preliminary planning due diligence to site assessment and feasibility, obtaining development approvals and managing public and private sector projects through the approvals process. Under Stuart’s leadership, Urban Sync has earned a well-deserved reputation for putting its client’s interests first, while embracing and promoting sustainable development. Stuart and his team are highly knowledgeable about the long-term statutory planning goals established by local, state and federal departments, which shape the region’s future and drive today’s planning requirements.